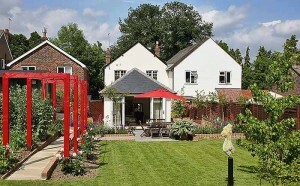 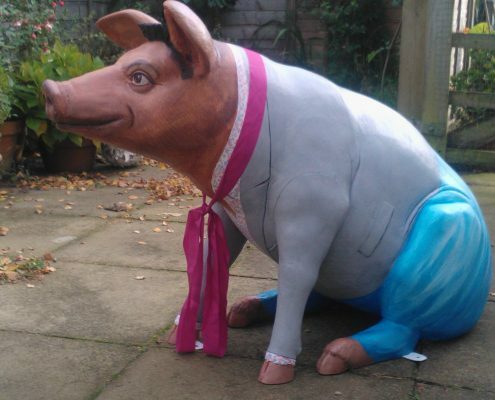 Hogging the limelight at Haslemere Hall were the first seven life-sized painted pigs (Haslemere Hogs) in a major fundraiser in aid of the Mayor of Haslemere’s charities. Haslemere Hogs is a porky twist on this year’s Surrey Hills Cow Parade which featured installations in town centres across the county of life sized models of cows painted by artists. 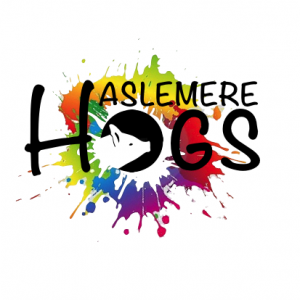 The success of Haslemere’s project depends on organisations and individuals coming forward to sponsor their very own Haslemere Hog for £200 and paint it. 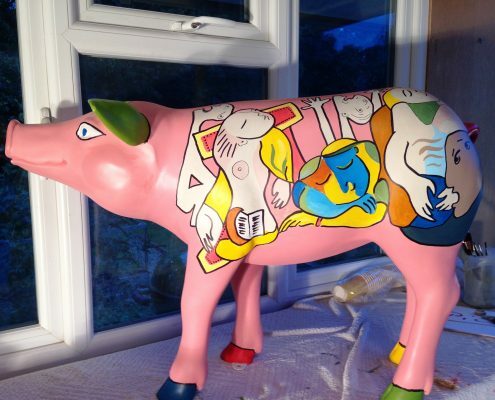 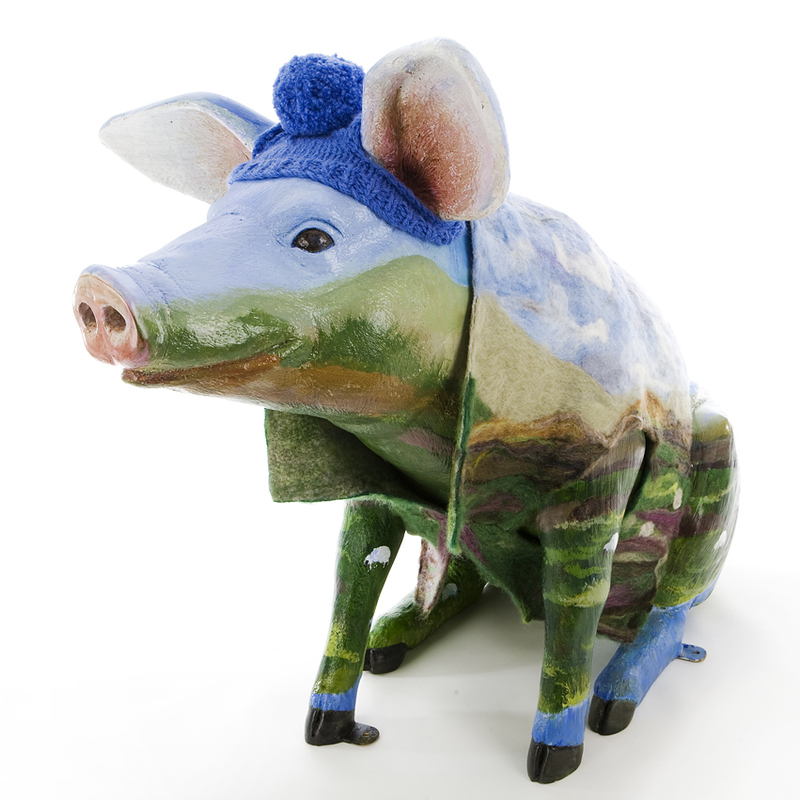 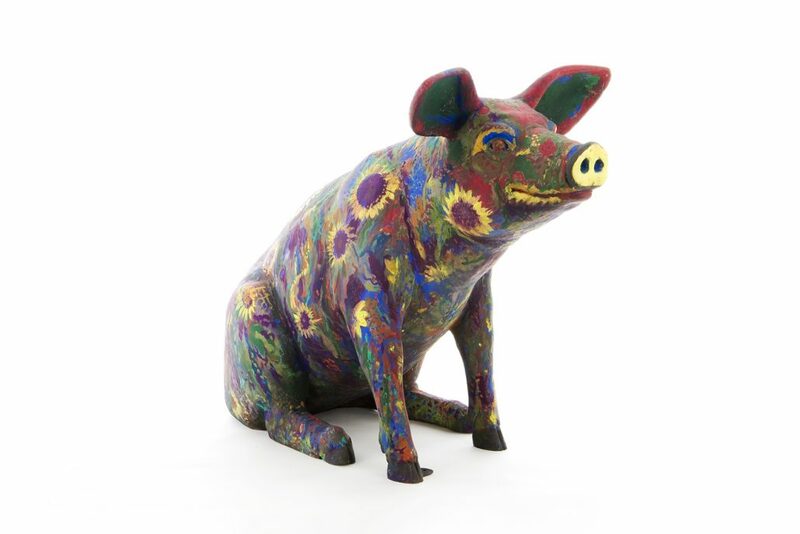 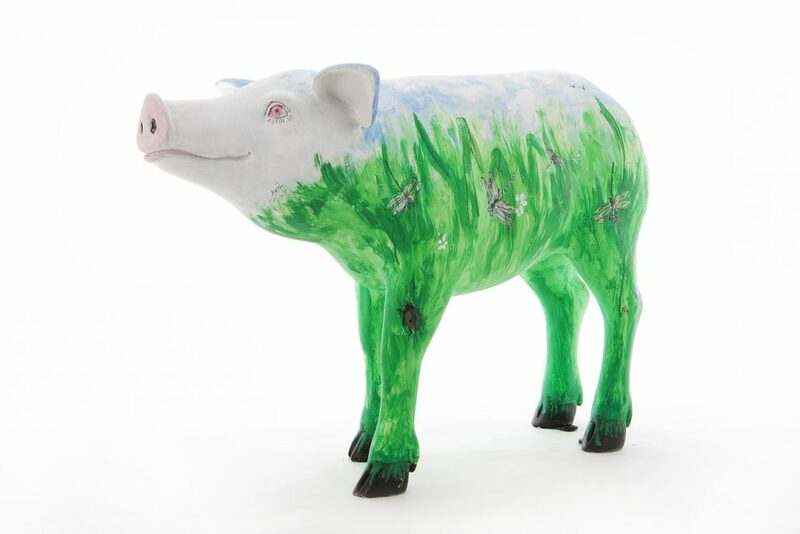 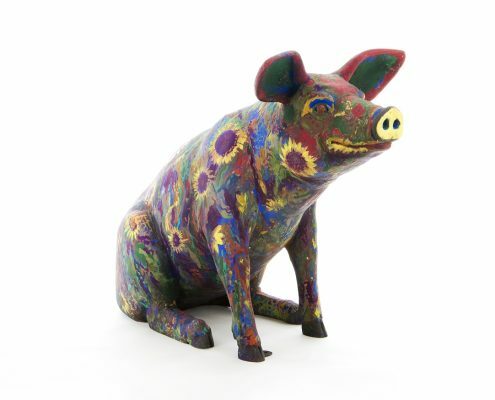 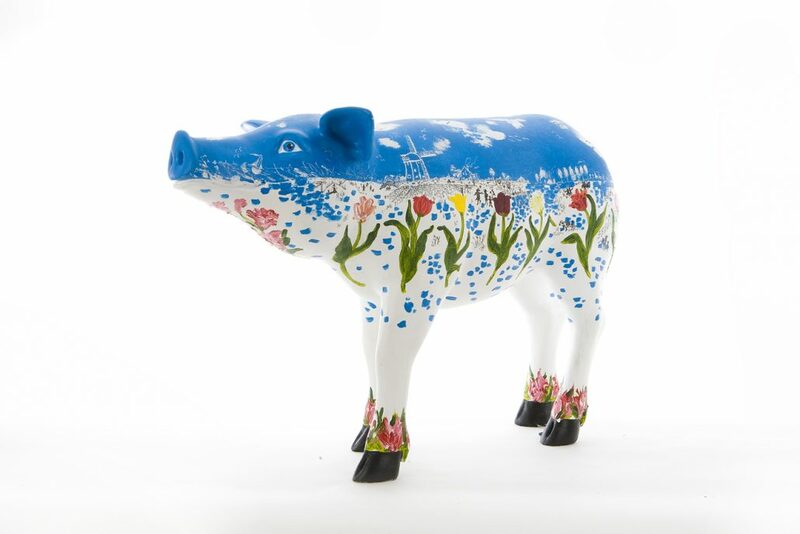 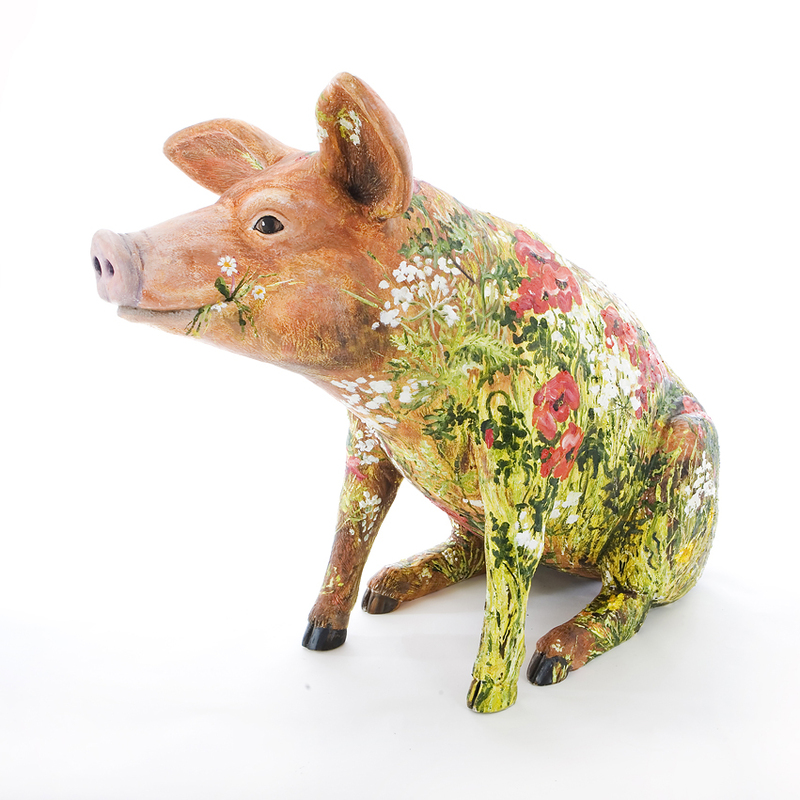 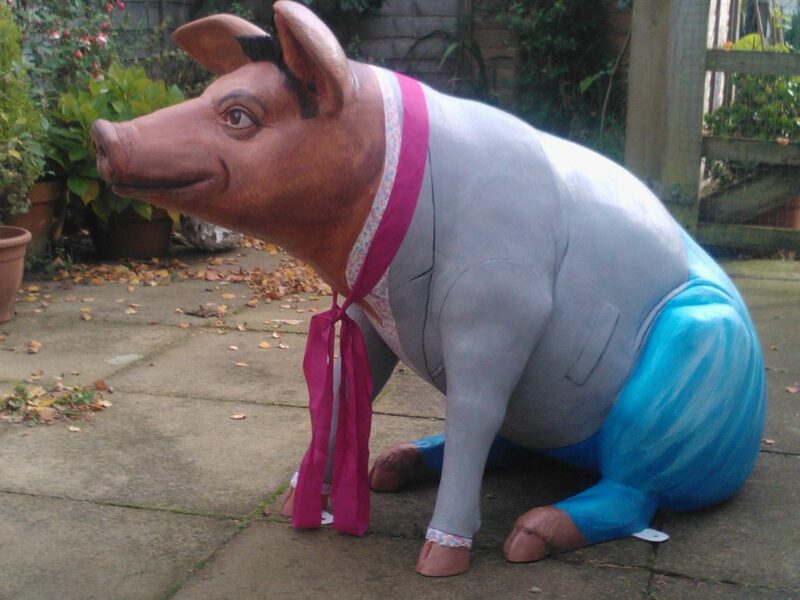 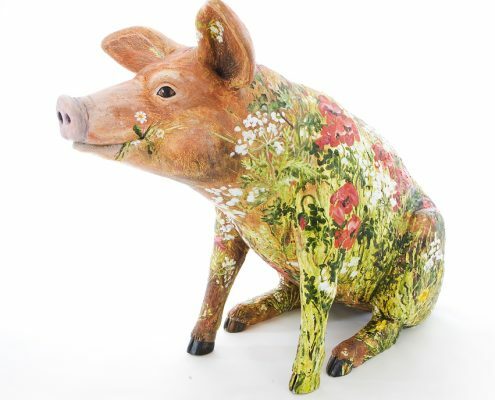 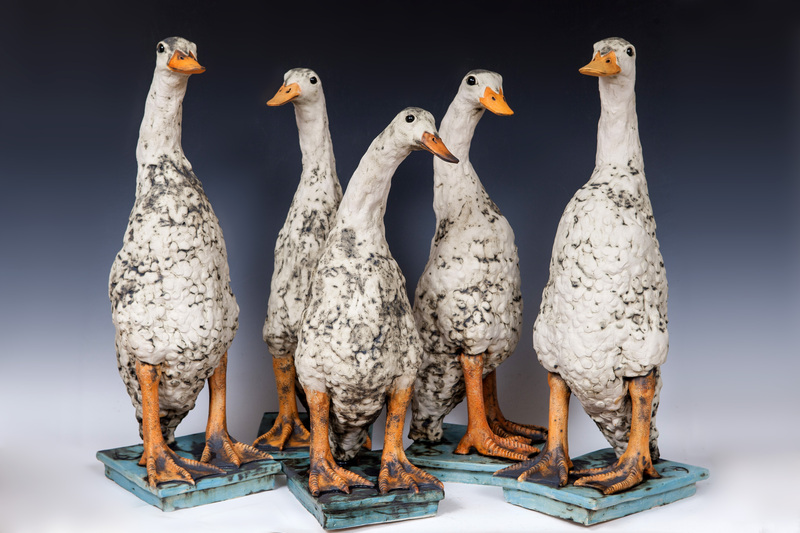 A limited edition of sixty swine is up for grabs and they will go on display around the town next April before being auctioned off in aid of the Mayor’s charities. 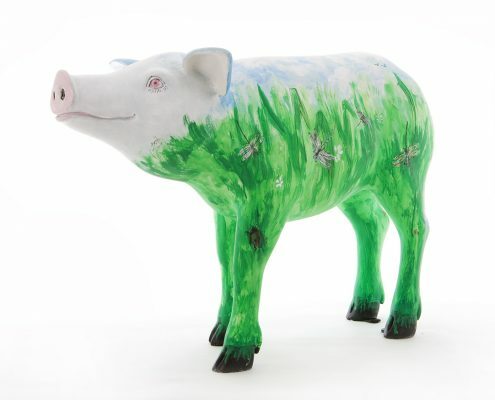 Haslemere Festival, The Town Council and the Chamber of Commerce are spearheading the project and Grayswood couple Evelyn & Gwyn Phillips founders of Surrey’s mega annual AppArt Exhibition have volunteered to find high profile artists from their “Stable” to ensure Haslemere Hogs are eye catching as possible. 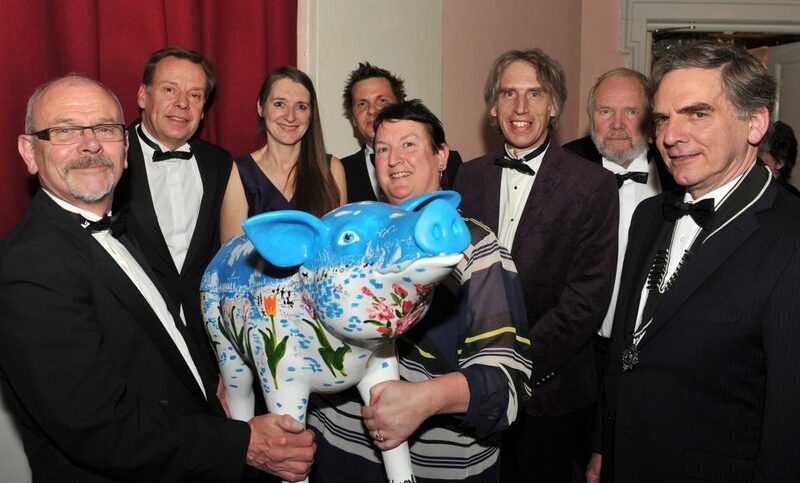 The idea was the brain child of Brian Howard and a gala evening was held last Wednesday 16th November to celebrate 60 years of the Marley Flowers business in Haslemere and it raised £1500 towards local charities. 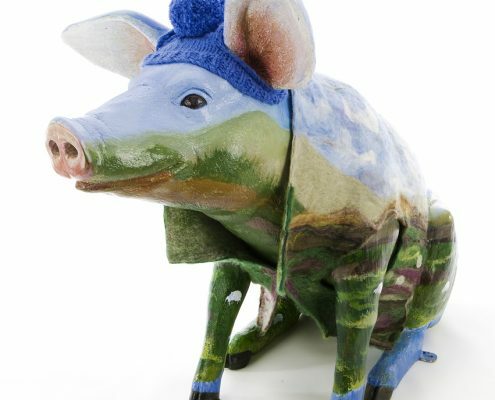 Extract from Haslemere Herald 24th November by Beatrice Philpot. 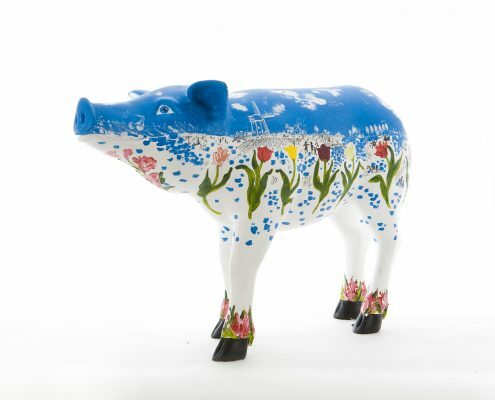 Haslemere Hogs were painted by the following artists; Christopher Cole, Coleen O’Donaghue, Averil Marks, David Paynter, Evelyn Phillips, and Christine Thompson.